Yep, you read that right, I joined the GYM. This is kind of a big deal for me as I’m the biggest (and unhealthiest) scaredy cat ever. If someone had told me two weeks ago that on Sunday morning at 8am I would have gone to the gym all alone and actually worked out I would have laughed in their stupid face! But alas, it happened, and it wasn’t that bad. Anyway, I’m one of those annoying people that does wear make up to the gym. I don’t care what you say, me sweating my baps off on a treadmill is bad enough, but to do it without make up and have my spotty chops on show is just one step worse. To be fair, I generally go the gym in the evenings anyway so I would just be wearing the make up I’ve had on all day without topping it up, but on Sunday it was my first stop and screw you, I still put some on! And yes, I know wearing make up and sweating like a motherbitch is the worst combination ever, and I’ve had a few more spots as a result so eventually I’m gonna have to stop being so stubborn and remove it before exercise… But until then…. Haha. I also thought it would be an ideal opportunity to try out some new products I got in my awesome goody bag from the Birmingham Bloggers Meet Up organised by Sara, Hayley and Chloe. So here we have the coveted Benefit Fake Up Concealer and Ginvera Green Tea BB Cream put to the gym test. With gym make up it’s a no brainer to keep it simple, if like me, you have to wear it. Light and effortless is the look we’re going for here, in fact light is the exact thing we want because as I’ve said wearing make up to the gym is a bad move and it will clog pores with sweat and create more spots…. But if you’re like me you just feel that little bit more confident with a bit on and you’re too stubborn to change yet. So, light and effortless. Aint no one got time for bold lippy and smokey eyeshadow. I’ve narrowed it down to 4 products. 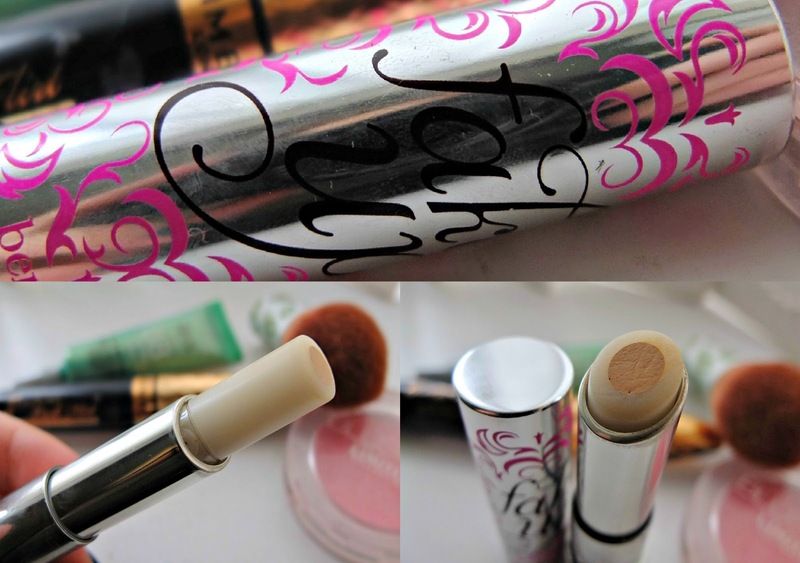 We will start off with the one everyone wants to know about – The Benefit Fake Up Hydrating Concealer (is it just me that sings a System of a Down song in my head whenever I read ‘Fake Up’). It’s been very much hyped and as always I’m determined to be a stick in the mud and hate it. However…. I’m quite undecided and little bit apathetic to it’s existence. I have no direct complaints about the product. But it is just OK. It’s not blown me away and it’s not made me want to throw it in the bin. It’s a ‘meh’ product for me. Whilst I see what they’ve gone for with the core of concealer encased in a hydrating layer of balm like substance, I don’t get it. I don’t get the necessity. It’s a pointless gimmick for me. I say this because the concealer itself is a fairly light and sheer one, so they could of just incorporated the ingredients of the balm in to the actual product instead of making it a feature and still kept the same amount of coverage, as it’s not like the concealer bit would lose many of it’s factors if they did this. I don’t like how it applies a little ‘wet’ either. For reference I always apply foundation, concealer, then a powder for my base. And this just seems to make a wetness that almost smears away the foundation anyway. I did try it underneath foundation as well but it’s so sheer you just end up rubbing it out away from the section you want it. Saying that though there is no doubt it does moisturise and hydrate the area that you have put it on. Unfortunately I also found the coverage to be not much cop either. It’s definitely a concealer for just under the eyes and trying to hide blemishes and spots with it was just a bit pointless. I like concealers that conceal everything, multi purpose if you will, I find little point in having a separate concealer for different things I want to conceal! Anyway, the ‘gym test’…. I worked out for around an hour and used a good lashing of Fake Up over the Ginvera BB Cream, I set it with a very light dusting of powder. Fake Up claims not to crease or settle in any fine lines or wrinkles, and after the gym I can confirm that it doesn’t… much. There was only a small bit settled in one (of my many) under eye creases. So it passes that test hands down. However, for the price of £18.50 I don’t think I’d invest in it again and it seems to me like something which won’t be around for very long. I know a lot of people have said they loved it but I imagine some companies are already in the process of developing something similar but a lot better. As always with Benefit packaging the design is nice but the result is somewhat cheap. I can tell already that the faux metal casing (which is silver coated plastic) will become very tatty looking in a very short time in my make up bag. If you only wear concealer under your eyes and don’t tend to use foundation though, this is probably the concealer for you and very much worth the investment, but if you want a good multi purpose product with coverage I’d say there were better (and cheaper) on the market. 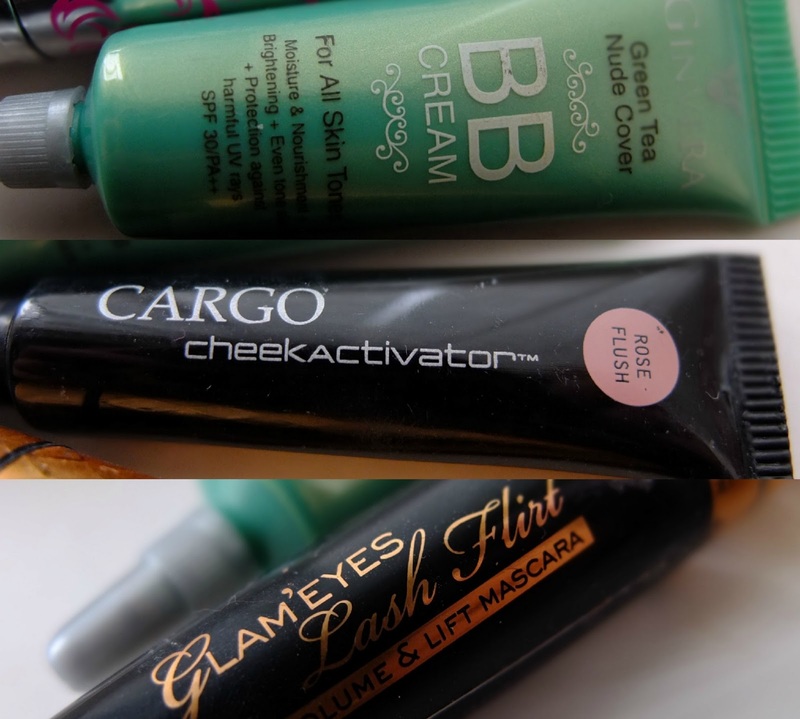 I always seem to feel a little disheartened by Benefit Make Up, out of a number of make up products I’ve tried I can only think of 1 or 2 which have impressed me, but their skincare is literally amazing and I cannot praise it enough. The company is very much on of those where their attitude is their latitude and I know no matter how many things I try I will continue to give their new products a go because they’re just a friendly company! This wasn’t for me so I will be sticking to my Daniel Sandler Concealer for my spots anyhoo as even though that is a slightly higher price, it’s an extremely good coverage and comes complete with foundation as well! The Ginvera Green Tea BB Cream is a product everyone has been harping on about for over a year now and I didn’t want to jump of this little train of joy, but after trying it I’m gonna be freaking driving the train of joy for this bad boy. It’s probably one of the best BB creams I’ve tried (and there’s been a few I tell thee!) and up until now the oversea’s brands have been awesome, with the Skin79 one of particular note. With four tiny spots dotted around my face it smooths over and creates a lovely even finish and even covers up blemishes well. I would go as far as to say it could even be a permanent replacement for foundation as it’s just such a nice texture and finish. It’s lightweight and looks so natural, I really can’t praise it enough. Even though it does cover blemishes well you would need a concealer if you did use this as ‘proper make up’ depending on how severe and red your blemishes are I guess. but it’s truly wonderful stuff. The colour is also not as grey as some Korean BB creams and not as orange as the UK ones, it’s a brilliant neutral shade to suit most skin tones I’d say. As soon as I get enough PayPal credits (because paypal isn’t money, right?) I’m going to invest in the full size one, which does unfortunately retail for around £20 a pop, but considering how little I need to use for full coverage it may be a more cost effective make up base in the long run! After a gym session it was still going strong and hadn’t melted with all the sweat and I really hadn’t seen a massive difference in the before and after really, which shows this sucker has staying power! Has anyone else tried any Korean BB Creams? Which would you recommend? The final two products I won’t go into much detail over as they’re pretty bog standard and I’m sure I’ve written about them before. The Cargo Cheek Activator is a really lovely liquid blush which squeezes out a white coloured creamy liquid, but when you rub it over cheeks it creates a nice natural pink hue, it’s really light weight a nice and to be honest I only started using it to use it up! But now I’ve popped it on a few times I’ve fallen a bit in love with it and it’s the perfect blush to compliment the BB cream base! I might scout out ebay to see if there’s any of these on as I don’t think Cargo do them any more which is a shame! The Rimmel Glam Eyes Mascara I got in a goody bag at some point and it’s a mediocre mascara at best, it’s a nice dark black tone but just doesn’t give length and volume that I like, so it’s nice to just throw on when you’re not too arsed about the end effect but also want to look like you do have eyelashes haha. Even though it’s not waterproof it didn’t really shift when at the gym, apart from a bit of flaking under the eye. Oh and just so you can see what I’m on about let’s show an extreme close up of my eye post gym session….. (this probably proves to you my age too, I may look young but these crinkles are WEATHERED…) As you can see there is a small bit of concealer settled in one of the lines. 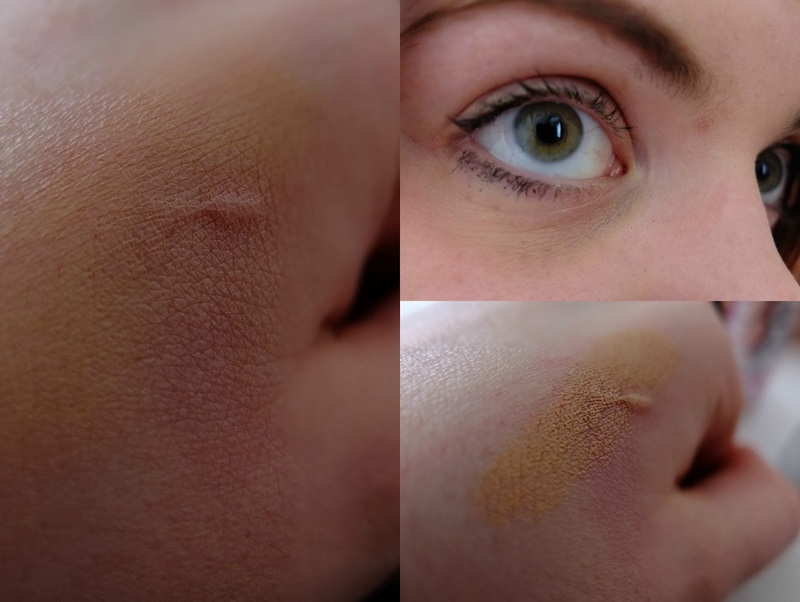 I also swatched Fake Up over my porridge scar on my hand so you can see the consistency a little better, but the image doesn’t really show the ‘wetness’ I’m on about. You will also see that my under eye is pretty dark there… Bear in mind this was 9am on a Sunday morning! Ha. Overall, I know, pretty lame blog post harping on about what can only be described as gym vanity, but hey! It’s worked out well to road test a few lines for you huh? And even if you don’t go to the gym wearing make up, at least you now know which items can stand the test of sweat for this glorious summer we’re having….. Oh wait. Previous Post Hair Care Bunch.